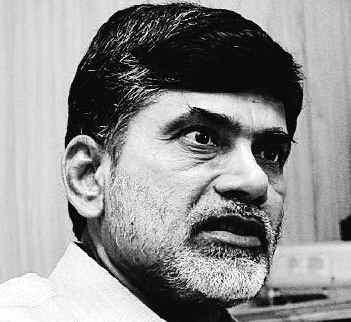 Andhra Pradesh Chief Minister N Chandrababu Naidu today directed district collectors to fully utilise funds under Mahatma Gandhi National Rural Employment Guarantee Scheme (MNREGS) for the construction of farm ponds (mini water tanks in agricultural fields) that will help mitigate drought conditions. Chandra Babu said there is no scarcity of fund under MNREGS and the government is ready to spend INR 500 crore in the coming three months under this scheme. As a part of initiatives to build "modern Andhra", Babu said the government has initiated process to construct 8,75,000 farm ponds each at a cost of Rs 1 lakh to meet irrigation water demand. He was interacting with all 13 district collectors at Vijaywada via video conferencing and asked them to create awareness among people regarding various welfare schemes of state government. Other directives included, to monitor ground water levels by using latest technology, to settle all representations filed by citizens on various issues from the beginning of this year, the release said. He also asked officials to ensure that pregnant women in the state undergo institutional delivery to reduce infant mortality rate. Efforts should be made to decrease school dropout rate to zero, construction of individual toilets, eradication of child marriage, promoting e-literacy in rural areas, it said.